The Merchants Bonding Company Foundation Board selected Puppy Jake Foundation as the 2016 focus charity for Merchants Bonding Foundation and the Bill Warner Sr. Memorial Charity Golf Classic. Puppy Jake Foundation is a 501(c)(3) nonprofit organization dedicated to helping military veterans through the assistance of well bred, socialized and professionally trained service dogs. Puppy Jake Foundation selects, trains, and places service dogs with brave wounded warriors. Puppy Jake Foundation also provides resources for the advocacy, awareness and acceptability in public for those that require the assistance of a service dog. The waiting list for service dogs for our veterans is growing, as is the number of US Armed Services members suffering from post-traumatic stress disorder (PTSD) and/or physical mobility issues. 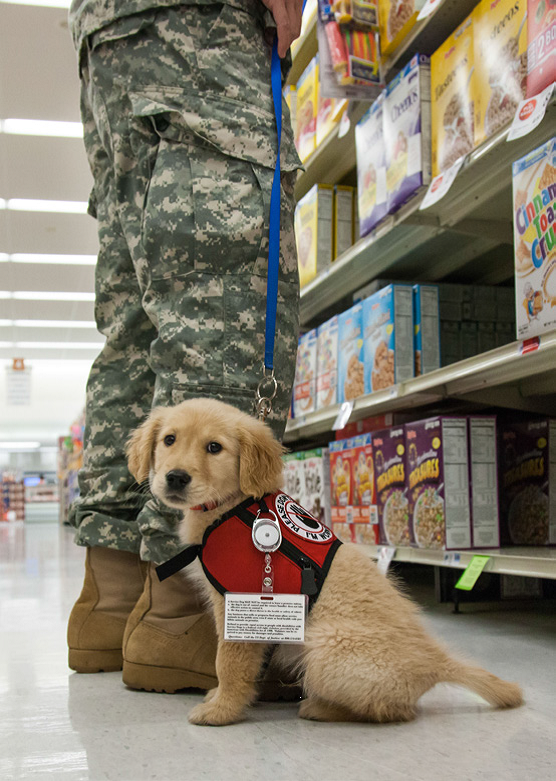 Puppy Jake service dogs assist veterans in performing tasks and are proven to help cope with anxieties or loneliness. Merchants is excited to fundraise for Puppy Jake Foundation in 2016 to improve the lives of Iowa veterans!